Biography*: James (also Jacques or Jacob; 1152 – 7 September 1191) was a son of Nicholas d'Oisy, Lord of Avesnes and Matilda de la Roche. He was the lord of Avesnes, Condé, and Leuze from 1171. In November 1187, James joined the Third Crusade as leader of a detachment of French, Flemish, and Frisian crusaders arriving by ship on the Israeli coast near Acre around 10 September 1189. James and his men came as military reinforcements for the Siege of Acre. At the Battle of Arsuf, James was thrown from his saddle and, after slaying fifteen enemy warriors, was himself cut down. The next day, a search party of Hospitallers and Templars found his body on the battlefield. It was taken back to Arsuf and buried there in a ceremony attended by Richard the Lionheart and Guy of Lusignan. Biography*: Roger de Clare, 2nd Earl of Hertford, 5th Lord of Clare, 5th lord of Tonbridge, 5th Lord of Cardigan (1116–1173) was a powerful Norman noble during the 12th century England. He succeeded to the Earldom of Hertford and Honor of Clare, Tonbridge and Cardigan when his brother Gilbert died without issue. Roger was a son of Richard Fitz Gilbert de Clare and Alice de Gernon. In 1153, he appears with his cousin, Richard Strongbow, Earl of Pembroke, as one of the signatories to the Treaty of Wallingford, in which Stephen recognises Prince Henry as his successor. He is found signing charters at Canterbury and Dover in 1156. Next year, according to Powell, he received from Henry II a grant of whatever lands he could conquer in South Wales. This is probably only an expansion of the statement of the Welsh chronicles that in this year (about 1 June) he entered Cardigan and 'stored' the castles of Humfrey, Aberdovey, Dineir, and Rhystud. Rhys ap Gruffydd, the prince of South Wales, appears to have complained to Henry II of these encroachments ; but being unable to obtain redress from the king of England sent his nephew Einion ab Anarawd to attack Humfirey and the other Norman fortresses. The 'Annales Cambriæ seem to assign these events to the year 1159 ; and the 'Brut' adds that Prince Rhys burnt all the French castles in Cardigan. In 1158 or 1160, Clare advanced with an army to the relief of Carmarthen Castle, then besieged by Rhys, and pitched his camp at Dinweilir. Not daring to attack the Welsh prince, the English army offered peace and retired home. In 1163, Rhys again invaded the conquests of Clare, who, we learn incidentally, has at some earlier period caused Einion, the capturer of Humfrey Castle, to be murdered by domestic treachery. In 1164 he assisted with the Constitutions of Clarendon. From his munificence to the Church and his numerous acts of piety, Roger was called the "Good Earl of Hertford". He was the founder of Little Marcis Nunnery prior to 1163. A second time all Cardigan was wrested from the Norman hands ; and things now wore so threatening an aspect that Henry II led an army into Wales in 1165, although, according to one Welsh account, Rhys had made his peace with the king in 1164, and had even visited him in England. The causes assigned by the Welsh chronicle for this fresh outbreak of hostility are that Henry failed to keep his promises — presumably of restitution — and secondly that Roger, earl of Clare, was honourably receiving Walter, the murderer of Rhys's nephew Einion. For the third time we now read that Cardigan was overrun and the Norman castles burnt; but it is possible that the events assigned by the 'Annales Cambræ' to the year 1165 are the same as those assigned by the 'Brut y Tywysogion' to 1163. In the intervening years, Clare had been abroad, and is found signing charters at Le Mans, probably about Christmas 1160, and again at Rouen in 1161 (Eyton, pp. 52, 53). In July 1163 he was summoned by Becket to do homage in his capacity of steward to the archbishops of Canterbury for the castle of Tunbridge. In his refusal, which he based on the grounds that he held the castle of the king and not of the archbishop, he was supported by Henry II (Ralph de Diceto, i. 311; Gervase of Canterbury, i. 174, ii. 391). Next year he was one of the ‘recognisers’ of the constitutions of Clarendon (Select Charters, p. 138). Early in 1170 he was appointed one of a band of commissioners for Kent, Surrey, and other arts of southern England (Gerv. Cant. i. 216). His last known signature seems to belong to June or July 1171, and is dated abroad from Chevaillée. He appears to have died in 1173, and certainly before July or August 1174, when we find Richard, earl of Clare, his son, coming to the king at Northampton. Mabel de Clare, d. 1204, m. (c. 1175), Nigel de Mowbray. Eveline (Aveline) de Clare, d. 4 June 1225, m. (c. 1204), Geoffrey IV Fitz Piers (Fitz Peter), 1st Earl of Essex. m. Sir William Munchensy, (b. c. 1184), son of Warin de Munchensy and Agnes Fitz John. Roger de Clare, d. 1241, Middleton, Norfolk, England. Biography*: Edmund FitzAlan, 9th Earl of Arundel (1 May 1285 – 17 November 1326) was an English nobleman prominent in the conflict between Edward II and his barons. His father, Richard FitzAlan,8th Earl of Arundel, died on 9 March 1301, while Edmund was still a minor. He therefore became a ward of John de Warenne, Earl of Surrey, and married Warenne's granddaughter Alice. In 1306 he was styled Earl of Arundel, and served under Edward I in the Scottish Wars, for which he was richly rewarded. After Edward I's death, Arundel became part of the opposition to the new king Edward II, and his favourite Piers Gaveston. In 1311 he was one of the so-called Lords Ordainers who assumed control of government from the king. Together with Thomas, Earl of Lancaster, he was responsible for the death of Gaveston in 1312. From this point on, however, his relationship to the king became more friendly. This was to a large extent due to his association with the king's new favourite Hugh Despenser the Younger, whose daughter was married to Arundel's son. Arundel supported the king in suppressing rebellions by Roger Mortimer and other Marcher Lords, and eventually also Thomas of Lancaster. For this he was awarded with land and offices. His fortune changed, however, when the country was invaded in 1326 by Mortimer, who had made common cause with the king's wife, Queen Isabella. Immediately after the capture of Edward II, the queen, Edward III's regent, ordered Arundel executed, his title forfeit and his property confiscated. Arundel's son and heir Richard only recovered the title and lands in 1331, after Edward III had taken power from the regency of Isabella and Mortimer. In the 1390s, a cult emerged around the late earl. He was venerated as a martyr, though he was never canonised. Edmund FitzAlan was born in the Castle of Marlborough, in Wiltshire, on 1 May 1285. He was the son of Richard FitzAlan, 8th Earl of Arundel, and his wife, Alice of Saluzzo, daughter of Thomas I of Saluzzo in Italy. Richard had been in opposition to the king during the political crisis of 1295, and as a result he had incurred great debts and had parts of his land confiscated. When Richard died in 09/03/1301, Edmund's wardship was given to John de Warenne, Earl of Surrey. Warenne's only son, William, had died in 1286, so his daughter Alice was now heir apparent to the Warenne earldom. Alice was offered in marriage to Edmund, who for unknown reasons initially refused her. By 1305 he had changed his mind, however, and the two were married. In April 1306, shortly before turning twenty-one, Edmund was granted possession of his father's title and land. On 22 May 1306, he was knighted by Edward I, along with the young Prince Edward – the future Edward II. The knighting was done in expectation of military service the Scottish Wars, and after the campaign was over, Arundel was richly rewarded. Edward I pardoned the young earl a debt of £4,234. This flow of patronage continued after the death of Edward I in 1307; in 1308 Edward II returned the hundred of Purslow to Arundel, an honour that Edward I had confiscated from Edmund's father. There were also official honours in the early years of Edward II's reign. At the new king's coronation on 25 February 1308, Arundel officiated as chief butler (or pincerna), a hereditary office of the earls of Arundel. Though the reign of Edward II was initially harmonious, he soon met with opposition from several of his earls and prelates. At the source of the discontent was the king's relationship with the young Gascon knight Piers Gaveston, who had been exiled by Edward I, but was recalled immediately upon Edward II's accession. Edward's favouritism towards the upstart Gaveston was an offence to the established nobility, and his elevation to the earldom of Cornwall was particularly offensive to the established nobility. A group of magnates led by Henry de Lacy, Earl of Lincoln, forced Gaveston into exile in 1308. By 1309, however, Edward had reconciled himself with the opposition, and Gaveston was allowed to return. Arundel joined the opposition at an early point, and did not attend the Stamford parliament in July 1309, where Gaveston's return was negotiated. After Gaveston returned, his behaviour became even more offensive, and opposition towards him grew. In addition to this, there was great discontent with Edward II's failure to follow up his father's Scottish campaigns. On 16 March 1310, the king had to agree to the appointment of a committee known as the Lords Ordainers, who were to be in charge of the reform of the royal government. Arundel was one of eight earls among the twenty-one Ordainers. The Ordainers once more sent Gaveston into exile in 1311, but by 1312 he was back. Now the king's favourite was officially an outlaw, and Arundel was among the earls who swore to hunt him down. The leader of the opposition – after Lincoln's death the year before – was now Thomas, Earl of Lancaster. In June 1312 Gaveston was captured, tried before Lancaster, Arundel and the earls of Warwick and Hereford, and executed. A reconciliation was achieved between the king and the offending magnates, and Arundel and the others received pardons, but animosity prevailed. In 1314 Arundel was among the magnates who refused to assist Edward in a campaign against the Scottish, resulting in the disastrous English defeat at the Battle of Bannockburn. Around the time of Bannockburn, however, Arundel's loyalty began to shift back towards the king. Edward's rapprochement towards the earl had in fact started earlier, when on 2 November 1313, the king pardoned Arundel's royal debts. The most significant factor in this process though, was the marriage alliance between Arundel and the king's new favourites, the Despensers. Hugh Despenser the Younger and his father Hugh Despenser the elder were gradually taking over control of the government, and using their power to enrich themselves. While this alienated most of the nobility, Arundel's situation was different. At some point in 1314–1315, his son Richard was betrothed to Isabel, daughter of Hugh Despenser the Younger. Now that he found himself back in royal favour, Arundel started receiving rewards in the form of official appointments. In 1317 he was appointed Warden of the Marches of Scotland, and in August 1318, he helped negotiate the Treaty of Leake, which temporarily reconciled the king with Thomas of Lancaster. With Arundel's change of allegiance came a conflict of interest. In August 1321, a demand was made to the king that Hugh Despenser and his father, Hugh Despenser the elder, be sent into exile. The king, facing a rebellion in the Welsh Marches, had no choice but to assent. Arundel voted for the expulsion, but later he claimed that he did so under compulsion, and also supported their recall in December. Arundel had suffered personally from the rebellion, when Roger Mortimer seized his castle of Clun. Early in 1322, Arundel joined King Edward in a campaign against the Mortimer family. The opposition soon crumbled, and the king decided to move against Thomas of Lancaster, who had been supporting the marcher rebellion all along. Lancaster was defeated at the Battle of Boroughbridge in March, and executed. In the aftermath of the rebellion, the Despensers enriched themselves on the forfeited estates of the rebels, and Hugh Despenser the elder was created Earl of Winchester in May 1322. Also Arundel, who was now one of the king's principal supporters, was richly rewarded. After the capture of Roger Mortimer in 1322, he received the forfeited Mortimer lordship of Chirk in Wales. He was also trusted with important offices: he became Chief Justiciar of North and South Wales in 1323, and in 1325 he was made Warden of the Welsh Marches, responsible for the array in Wales. He also extended his influence through marriage alliances; in 1325 he secured marriages between two of his daughters and the sons and heirs of two of Lancaster's main allies: the deceased earls of Hereford and Warwick. In 1323, Roger Mortimer, who had been held in captivity in the Tower of London, escaped and fled to France. Two years later, Queen Isabella travelled to Paris on an embassy to the French king. Here, Isabella and Mortimer developed a plan to invade England and replace Edward II on the throne with his son, the young Prince Edward, who was in the company of Isabella. Isabella and Mortimer landed in England on 24 September 1326, and due to the virulent resentment against the Despenser regime, few came to the king's aid. Arundel initially escaped the invading force in the company of the king, but was later dispatched to his estates in Shropshire to gather troops. At Shrewsbury he was captured by his old enemy John Charlton of Powys, and brought to Queen Isabella at Hereford. On 17 November – the day after Edward II had been taken captive – Arundel was executed, allegedly on the instigation of Mortimer. According to a chronicle account, the use of a blunt sword was ordered, and the executioner needed 22 strokes to sever the earl's head from his body. Arundel's body was initially interred at the Franciscan church in Hereford. It had been his wish, however, to be buried at the family's traditional resting place of Haughmond Abbey in Shropshire, and this is where he was finally buried. Though he was never canonised, a cult emerged around the late earl in the 1390s, associating him with the 9th-century martyr king St Edmund. This veneration may have been inspired by a similar cult around his grandson, Richard FitzAlan, 11th Earl of Arundel, who was executed by Richard II in 1397. [S746] Wikipedia, online http://Wikipedia.com, https://en.wikipedia.org/wiki/Richard_FitzAlan,_8th_Earl_of_Arundel. [S746] Wikipedia, online http://Wikipedia.com, https://en.wikipedia.org/wiki/Alice_of_Saluzzo,_Countess_of_Arundel. Biography*: Richard FitzAlan, 8th Earl of Arundel (7th Earl of Arundel per Ancestral Roots) (3 February 1266/7 – 9 March 1301/2) was an English Norman medieval nobleman. He fought in the Welsh wars, 1288 to 1294, when the Welsh castle of Castell y Bere (near modern-day Towyn) was besieged by Madog ap Llywelyn. He commanded the force sent to relieve the siege and he also took part in many other campaigns in Wales ; also in Gascony 1295-97; and furthermore in the Scottish wars, 1298-1300. Edmund FitzAlan, 9th Earl of Arundel. Alice FitzAlan, married Stephen de Segrave, 3rd Lord Segrave. Margaret FitzAlan, married William le Botiller (or Butler). Eleanor FitzAlan, married Henry de Percy, 1st Baron Percy. [S746] Wikipedia, online http://Wikipedia.com, https://en.wikipedia.org/wiki/John_FitzAlan,_7th_Earl_of_Arundel. [S746] Wikipedia, online http://Wikipedia.com, https://en.wikipedia.org/wiki/Isabella_Mortimer,_lady_of_Clun_and_Oswestry. Biography*: John FitzAlan, 7th Earl of Arundel (14 September 1246 – 18 March 1272) was an English nobleman. He was also feudal Lord of Clun and Oswestry in the Welsh Marches. He was the son of John FitzAlan, 6th Earl of Arundel (d. 1267), and Maud de Verdun, daughter of Theobald le Botiller (or Boteler) and Rohese (or Rohesia) de Verdun. His paternal grandparents were John Fitzalan, Lord of Oswestry and Isabel d'Aubigny. [S746] Wikipedia, online http://Wikipedia.com, https://en.wikipedia.org/wiki/John_Fitzalan,_3rd_Lord_of_Oswestry. 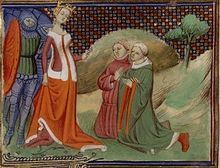 Biography*: Isabella Mortimer, Lady of Clun and Oswestry (born after 1247; died before 1 April 1292) was a noblewoman and a member of an important and powerful Welsh Marcher family. Although often overshadowed in modern historiography by her better-known parents, she is now known to have played an important part in her family's struggles against Llywelyn ap Gruffudd and to have helped to secure the frontline at Shropshire in the run-up to English conquest of Wales. She was the wife and widow of John III FitzAlan, baron of Clun and Oswestry and de jure earl of Arundel. After a lengthy widowhood, she married for a second time and largely disappeared from the records. Biography*: John FitzAlan, 3rd Lord of Clun and Oswestry (1200–1240) in the Welsh Marches in the county of Shropshire. John succeeded his brother, William Fitz Alan, 2nd Lord of Oswestry and Clun, who died in 1216 without issue. 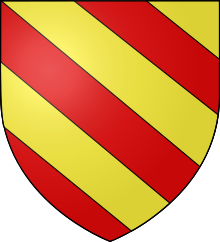 They were sons of William Fitz Alan, 1st Lord of Oswestry and Clun (d. c1210) and the daughter of Hugh de Lacy, name unknown; The FitzAlans were descendants of Alan fitzFlaad, a Breton. [S746] Wikipedia, online http://Wikipedia.com, https://en.wikipedia.org/wiki/William_FitzAlan,_1st_Lord_of_Oswestry_and_Clun. Biography*: William FitzAlan (d. 1210) was a Norman nobleman who lived in Oswestry and Clun, near Shrewsbury, along the medieval Welsh Marches. William was the son of William FitzAlan and Christiana (stepmother was Isabella de Say). His father's second wife brought the lordship of Clun into the family. [S746] Wikipedia, online http://Wikipedia.com, https://en.wikipedia.org/wiki/William_FitzAlan,_Lord_of_Oswestry. Biography*: Isabella de Say (c.1132-1199) was an Anglo-Norman heiress. Isabella was the only surviving child of Helias de Say upon his death in 1165; Helias was the third lord of Clun, a powerful Norman stronghold in Shropshire, England, along the Welsh border. She was also a niece of the influential Robert, 1st Earl of Gloucester. She is notable for helping to create the powerful medieval house of the Fitz Allans. Isabella married William Fitz Alan, the lord of nearby Oswestry, as his second wife. William died in 1160, leaving a son by his first wife, Christiana, William Fitz Alan II. Isabella passed Clun Castle to him. The combined lordship of Oswestry and Clun was a significant power in the borderlands with Wales. Isabella had married Geoffrey de Vere II, brother of the earl of Oxford by early 1166. After de Vere's death in 1170 she married William Boterel, probably by 1175, the year her stepson William reached his majority. She was certainly married to him by 1188. Isabella's death date is disputed, but she probably lived to 1199. Biography*: William FitzAlan (1105–1160) was a nobleman of Breton ancestry. He was a major landowner, a Marcher lord with large holdings in Shropshire, where he was the Lord of Oswestry, as well as in Norfolk and Sussex. He took the side of Empress Matilda during the Anarchy and underwent considerable hardship in the Angevin cause before regaining his lands and former status. William's younger brother, Walter fitz Alan (d. 1177), became ancestor of the royal House of Stuart. William was born around 1105. He was the eldest son and heir of Alan fitz Flaad, a Breton noble whose family were closely associated with the sacred environs of Dol-de-Bretagne, close to the border with Normandy and a short distance south-west of the great abbey of Mont Saint-Michel. Alan was a close ally of Henry I of England (1100-1135), who was determined to insert reliable supporters into strategically key areas after the disloyalty of Robert of Bellême, 3rd Earl of Shrewsbury, who had a strong support network in the Marches. Alan received extensive fiefs in Shropshire and Norfolk from around the beginning of Henry's reign and more as he proved his worth. Much of the Shropshire land was taken from the holdings of Rainald de Bailleul, ancestor of the House of Balliol, as was land around Peppering, near Arundel in Sussex. William's mother was Avelina de Hesdin. Her father was Ernulf de Hesdin (also transcribed as Arnulf), a crusader baron from Hesdin in Artois, which was a fief of the County of Flanders and only loosely attached to France. Ernulf built up large holdings in Staffordshire and Gloucestershire. After his death in the First Crusade, Aveline's brother, also called Ernulf, inherited his lands and titles. William succeeded his father around 1114, probably still aged under 10. He was appointed the High Sheriff of Shropshire by Adeliza of Louvain, the second wife of Henry I. His first notable appearance is as a witness to King Stephen's charter to Shrewsbury Abbey in 1136. As Sheriff of the county, William was also castellan of Shrewsbury Castle. In 1138, he joined in the revolt against Stephen and garrisoned the castle against the king. After resisting the attacks of the royal army for a month, he fled with his family in August 1138, leaving the castle to be defended by his uncle, Ernulf de Hesdin. When the town fell, Stephen acted in anger, hanging Ernulf and 93 others immediately, frightening the local people and magnates into transferring their allegiance to him. William was deprived of his lands and titles and spent the next fifteen years in exile, until the accession of Henry II to power in place of Stephen in 1153-4. He was a close supporter of the Angevin cause, accompanying the Empress or her son on numerous occasions. He was present with Empress Matilda at Oxford in the summer of 1141, and shortly after at the siege of Winchester Castle. He remained in attendance on her at Devizes, witnessing the charter addressed to himself by which she grants Aston to Shrewsbury Abbey. In June 1153 he was present with Henry FitzEmpress, then Duke of Normandy, at Leicester. It was during this period that his younger brother, Walter, used the family's royal connections to make a new career in Scotland under David I of Scotland, an uncle of the Empress. William's active support did not end with Henry's accession to the throne. In July 1155, when the king marched against Hugh de Mortimer, a turbulent Marcher lord who had been a key supporter of Stephen, and recaptured the castles at Shrewsbury and Bridgnorth, William FitzAlan was the chief beneficiary. At Bridgnorth ‘the king restored his lands’ and William there received the feudal homage of his tenants. Thus he regained his paternal fief. He was also restored as High Sheriff of Shropshire in 1155, holding the post until his death in 1160. It was probably between 1130 and 1138 that FitzAlan made the first recorded grant to Haughmond Abbey: a fishery at Preston Boats on the River Severn, near Shrewsbury. It is possible that there was a hermitage or a small religious community at Haughmond even in his father's time, and a small church from this earlier period has been revealed by excavations on the site, so it is not clear that William was the founder of the abbey. However, it was he who set it on a secure financial basis, with a series of important land grants in Shropshire and Sussex, which were reciprocated by other magnates in the region. Haughmond received lands from the Empress, confirmed by Stephen and Henry II. William continued to make benefactions to it when he returned from exile, including the wealthy portionary church of Wroxeter, declaring his intention to increase the number of priests there too. He also made grants to nearby Lilleshall Abbey, another Augustinian house. Though not the founder of Wombridge Priory, a smaller Augustinian house, he sanctioned its foundation by the Hadley family, his vassals. It was, however, Haughmond that became the FitzAlan shrine, with all heads of the family after William buried there for a century and a half. William died around Easter 1160. He was buried at Shrewsbury Abbey, according to Eyton, noted in the Haughmond Abbey history ("After William FitzAlan (I), who left his body for burial in Shrewsbury Abbey"). William's first wife was Christiana. She was the mother of his heir and other children. William's eldest son and heir was also called William FitzAlan. Christiana, their daughter married Hugh Pantulf, 4th Baron of Wem, a later High Sheriff of Shropshire. His wife Christiana died before William regained his ancestral estates in 1155. Henry II therefore gave him the hand of Isabel de Say. She was the sole heiress of Helias de Say, who held the lordship of Clun and was an early benefactor of Haughmond Abbey. Clun was to pass to the FitzAlans on the death of Helias, but he outlived William, so it passed to his son, the second William. Isabel brought prestige as well as land. She was the niece of Robert, 1st Earl of Gloucester, an illegitimate son of Henry I, and thus cousin to William Fitz Robert, 2nd Earl of Gloucester, who was a principal supporter of the Empress. The FitzAlans remained important Marcher lords and magnates in central England for several centuries. A strategic marriage with their Sussex neighbours, the d'Aubigny family, brought the FitzAlans the rich and important Earldom of Arundel. This they held from 1243 until 1580. It was as earls of Arundel that William FitzAlan's descendants made their most important mark on the history of England. Biography*: Cennétig mac Lorcáin, King of Tuadmumu, died 951. He was the father of Brian Boru. Cennétig was king of the Dál gCais, one of the tribes of the Déisi, subject peoples in Munster. Their name was new, first recorded in the 930s, and they had previously been an undistinguished part of the northern Déisi. The kings of Munster at this time came from the Eóganachta, a vast, complex group of kindreds who claimed descent from Eógan Már. The learned men of the Dál gCais provided a new, and "improved", genealogy for their kings, tracing their descent from Eógan Már's brother Cormac Cass. The Dál gCais were based in eastern County Clare, part of the region known as Tuadmumu (later Thomond), a name which first appears in 944 in the report of the defeat of Cennétig at Gort Rotacháin by the Eóganachta king Cellachán Caisil. The report of Cennétig's death in 951 calls him "king of Tuadmumu". Cennétig appears to have had many children, perhaps 11 sons, including Brian Boru. His daughter Órlaith was the wife of the High King of Ireland Donnchad Donn. Órlaith was killed in 941, supposedly for adultery with her stepson Óengus. Biography*: Urchadh mac Murchadh (died 943) was King of Maigh Seóla. Urchadh is one of the earliest attested kings of Uí Briúin Seóla, whose rulers also seem to have exercised some authority over Iar Connacht. His dynasty, the Muintir Murchada, took their name from his father, Murchadh mac Maenach. The Ó Flaithbertaigh family would later claim him as an ancestor. Urchadh had an elder brother called Urumhain or Earca. Biography*: Murchadh is one of the earliest attested kings of his region. He is noteworthy as the person who gave his name to the Muintir Murchada, a dynasty whose leading family later took the surname Ó Flaithbertaigh (O'Flaherty). At this point in time, his people lived east of Lough Corrib, their territory centered on Lough Cime (Lough Hackett), Tuam, County Galway. They would be expelled by the O'Connors in the 1050s. The genealogies list two sons, Urchadh and Urumhain, with Urchadh listed as having descendants. A Cleirchin mac Murchadh of Uí Briúin Seóla is listed in the Annals of the Four Masters under 908, though he does not appear in any other source. Urchadh later became the grandfather of Brian Boru. Murchadh was also a descendant of Brion macEchach Muigmedoin King of Connacht" who was son of Eochaid Muigh Meadhoin mac Muiredach 122nd High king of Ireland who fathered the UiNeill dynasty and Brion's famous half brother Niall of the Nine Hostages. Biography*: Lady Isabella de Beauchamp, Lady Kidwelly, Baroness Despenser (born c. 1263 - died before 30 May 1306), was an English noblewoman and wealthy heiress. Lady Isabella was born in about 1263 in Warwickshire, England. She was the only daughter of William de Beauchamp, 9th Earl of Warwick and Maud FitzJohn who appears to have married; two sisters who were nuns at Shouldham are mentioned in her father's will. She had a brother, Guy de Beauchamp, 10th Earl of Warwick who married Alice de Toeni, by whom he had seven children. Her paternal grandparents were William de Beauchamp of Elmley Castle and Isabel Maudit, and her maternal grandparents were Sir John FitzGeoffrey, Lord of Shere, and Isabel Bigod. Maud Chaworth (2 February 1282- 1322), married Henry, 3rd Earl of Lancaster, by whom she had seven children. Following Sir Patrick's death in 1286, Lady Isabella had in her possession four manors in Wiltshire and two manors in Berkshire, assigned to her until her dowry should be set forth along with the livery of Chedworth in Gloucestershire and the Hampshire manor of Hartley Mauditt which had been granted to her and Sir Patrick in frankmarriage by her father. That same year 1286, she married secondly Sir Hugh le Despenser without the King's licence for which Sir Hugh had to pay a fine of 2000 marks. He was created Baron Despenser by writ of summons to Parliament in 1295, thereby making Lady Isabella Baroness Despenser. Hugh le Depenser, Lord Despenser the Younger (1286- executed 24 November 1326), married Eleanor de Clare, by whom he had issue. Phillip le Despenser (died 1313), married as his first wife Margaret de Goushill, by whom he had issue. Lady Despenser died sometime before 30 May 1306. Twenty years later, her husband and eldest son, favourites of King Edward II, were both executed by the orders of Roger Mortimer, 1st Earl of March and Queen Isabella. The couple were by that time the de facto rulers of England, and along with most of the people in the kingdom, they had resented the power both Despensers wielded over the King.